Mazda has brought to market a host of innovative products with it’s new Mazda3, Mazda6, Mazda MX-5 Miata, Mazda CX-5 and Mazda CX-3. But one vehicle that’s been overlooked, until now, is the 7 Passenger Mazda CX-9. That has all changed. 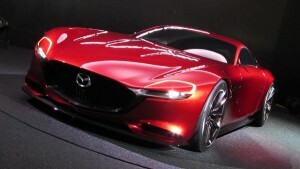 At this year’s LA Auto Show, Mazda introduced the ALL NEW Mazda CX-9. The Mazda CX-9 offers an elevated experience with innovative technologies, a sleek exterior, the latest Grand Expression of Mazda’s KODO-Soul of Motion design which is found in all Mazda’s. The Mazda CX-9 boasts a knock-out interior with luxury-grade materials and State-of-the-Art driver conductivity. Real wood, Leather Seating (optional) and Satin Metal Accents; providing a premium Audi-like feel and responsive handling enthusiast have come to expect from Mazda via a Skyactiv-T Engine delivers 250 Horse Power, 310 lb-ft of torque and 20% Better fuel economy. The automotive press has always extolled Mazda products for their handling and performance. Today’s Mazda vehicles also offer the most sophisticated and tech savvy features in their respective classes today, earning positive reviews for their well-made interiors as well as their athletic driving dynamics as well. 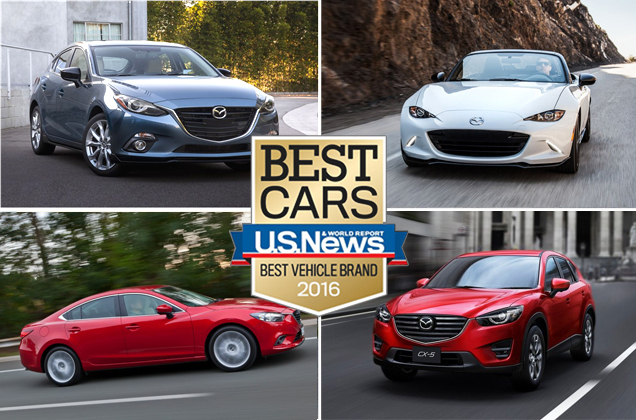 The 2016 Mazda3 is in the top tier of the U.S. News compact car rankings. While most driving enthusiast praise the Mazda3 for its nimble handling, strong acceleration and upscale interior, many are in awe of features like Blind Spot and Cross Traffic Monitoring, Radar Cruise Control, Adaptive HID Headlamps, Lane Departure Warning, Auto High/Low Beams. Features usually reserved for only luxury class vehicles and rarely seen at the Mazda3 price point. Need more room? The Mazda6 is a 2014 & 2015 Car&Driver “10 BEST” winner also winning Road and Track’s “BEST FAMILY SEDAN.” This mid-size sedan boast state-of-the-art technology with a spacious interior and cargo space. The most athletic, fun-to-drive sedan in it’s class. The Iconic Mazda MX-5 Miata is back and more fun than ever. Lighter and tighter, the definitive roadster is unquestionably the King of the hill. 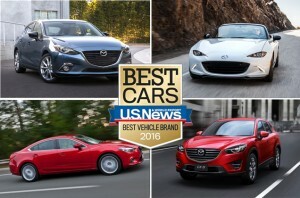 Consumer reporting puts the Mazda second behind Lexus for reliability. 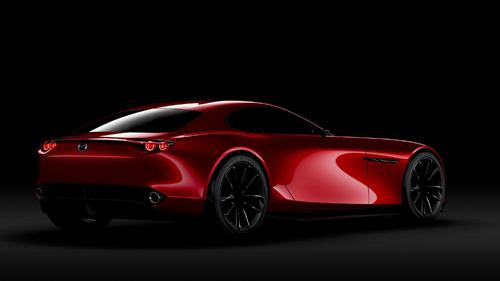 Quality, Reliability and Value, Mazda is on target to win your heart. WOW! Could this be the return of the RX-7 ? We’re excited at the prospect of the return of the sports coupe. Sleek and stylish, the RX-Vision displays an athletic persona that’s undeniable. Mazda has made huge strides in technology with Voice Activated Navigation and Voice Command Premium Audio, LED and Adaptive Headlamps, Lane departure and much more. This is a premium package that’s amazing.